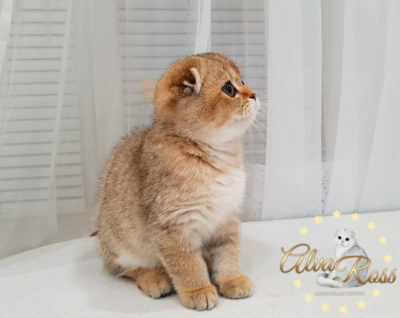 Scottish Fold golden chinchilla in photos always looks great! 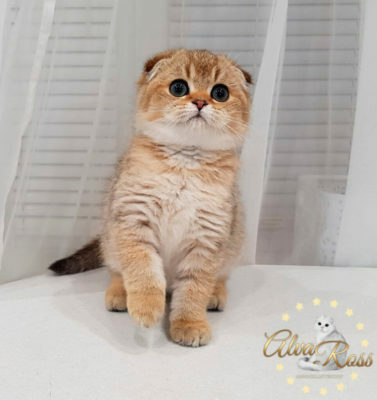 Personally, I think that this cat can not leave anyone indifferent. 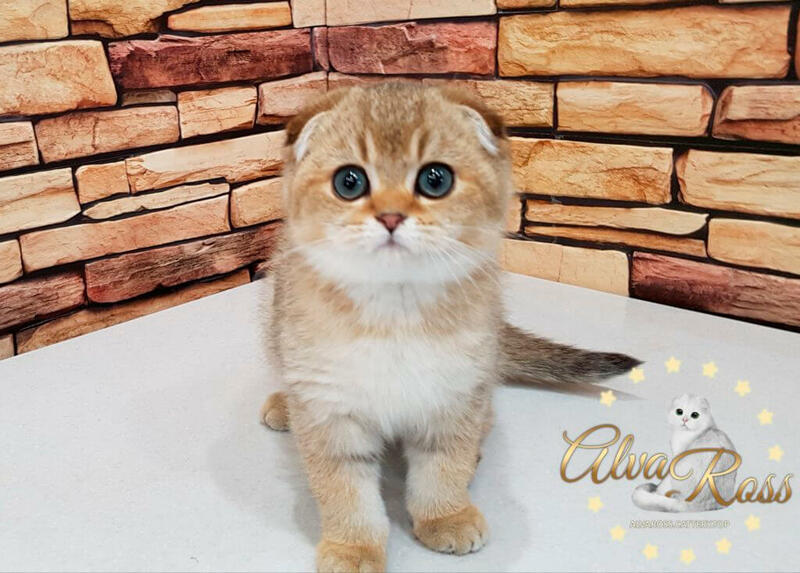 These cats with an emerald eye color and an apricot fur coat are not only real beauties, but also very smart, friendly and healthy cats. 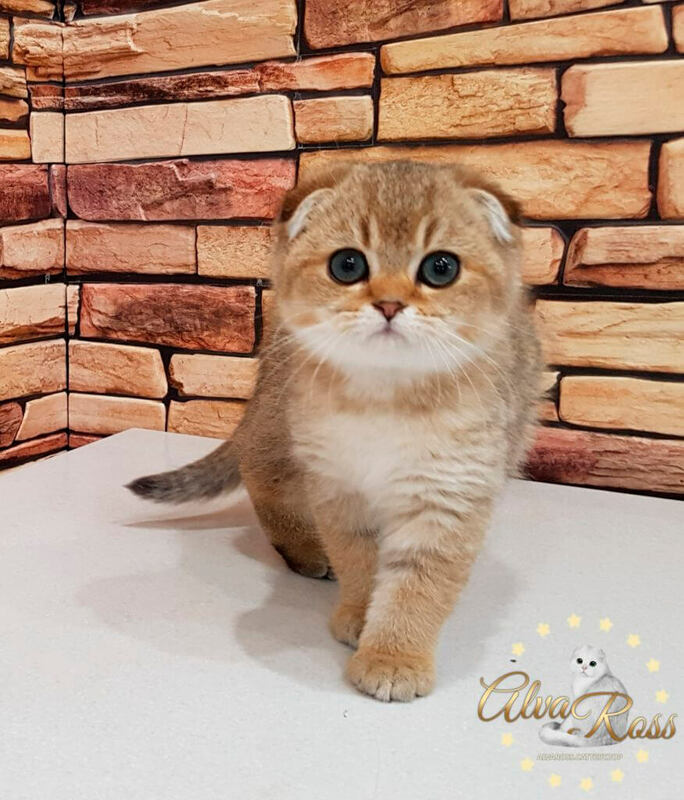 And they are caring mothers for their Scottish fold and Scottish Straight kittens. 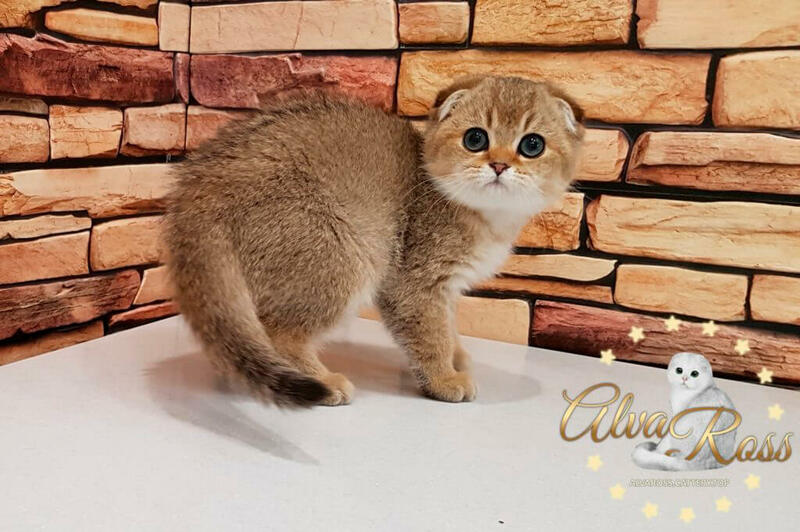 Scottish Fold cats of golden chinchilla color from «AlvaRoss» cattery have a real show-temperament. They are affectionate, playful, friendly, calm. I want to show you photos of a Scottish Fold kitten who was born in my cattery recently. This charming boy has an excellent apricot undercoat. 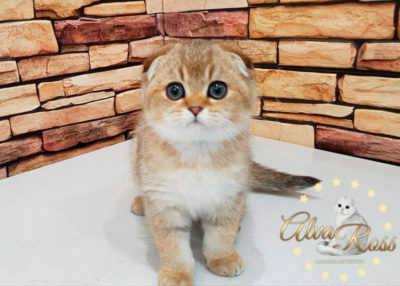 And his eyes, despite the fact that he is still a baby, have already become emerald green. 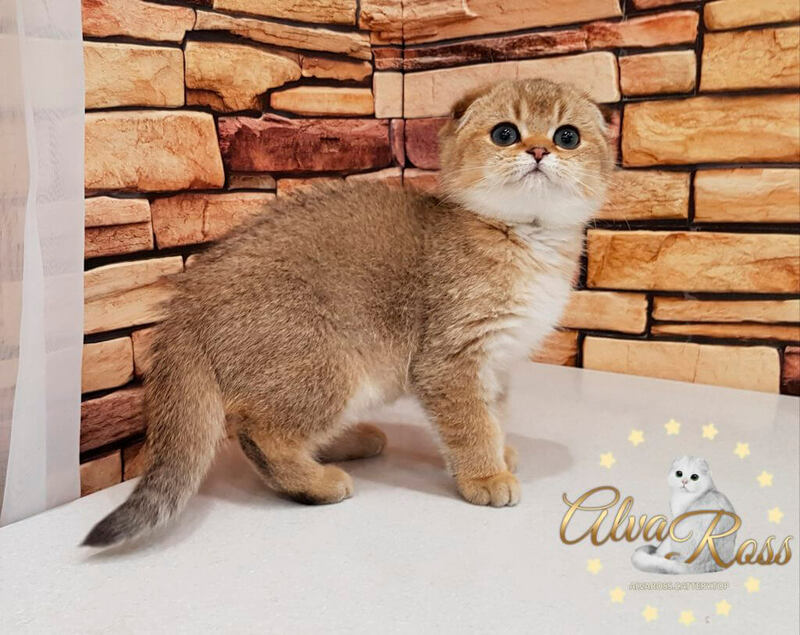 When I look at him, I think about how much work was done by the breeders for the appearance of the golden chinchilla color. As I told in another article, the breeding work with this color began about 50 years ago. And now we can have real golden cats in our homes. 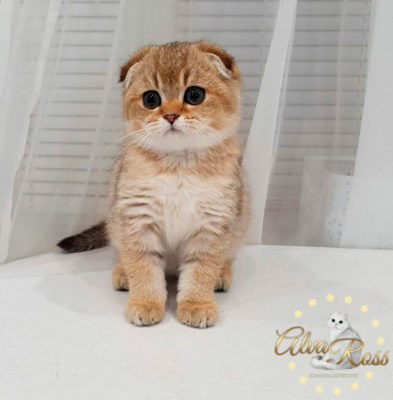 If, looking at these photos, you want to learn more about these beautiful cats or even become the owner of such a cutie - write me, I will be happy to answer all your questions.